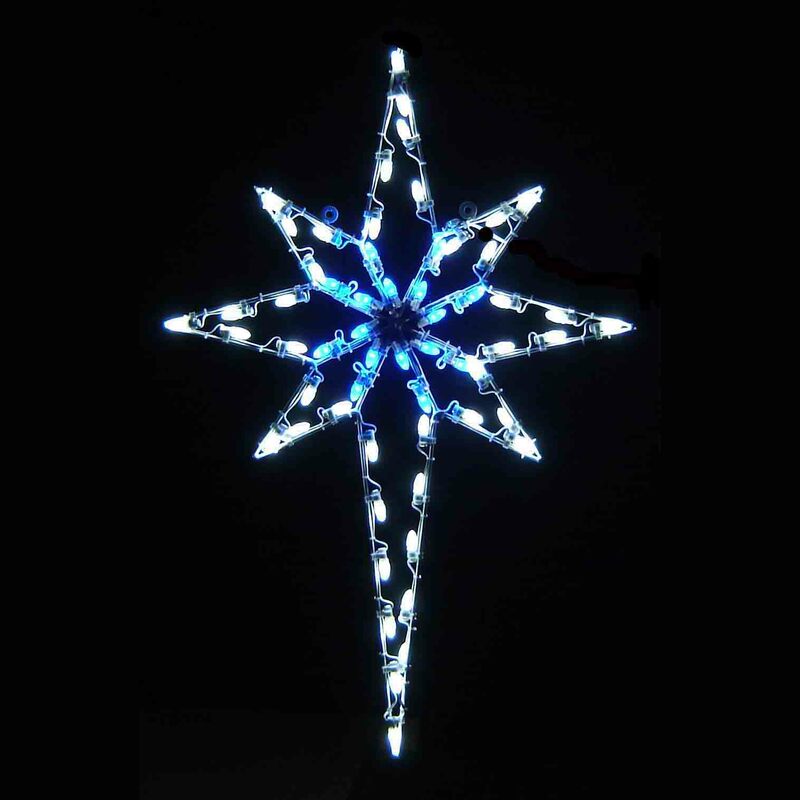 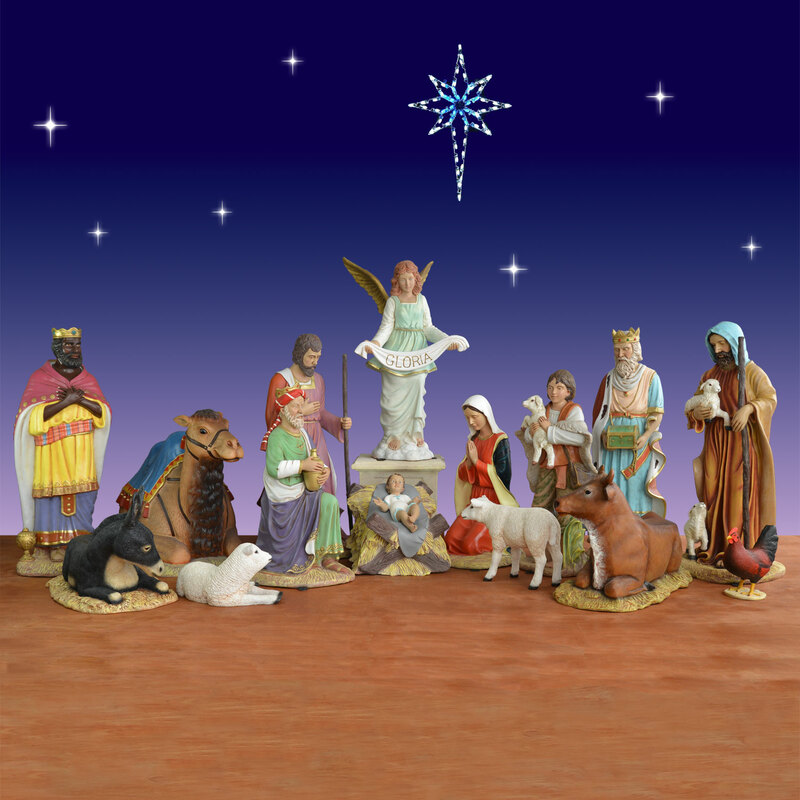 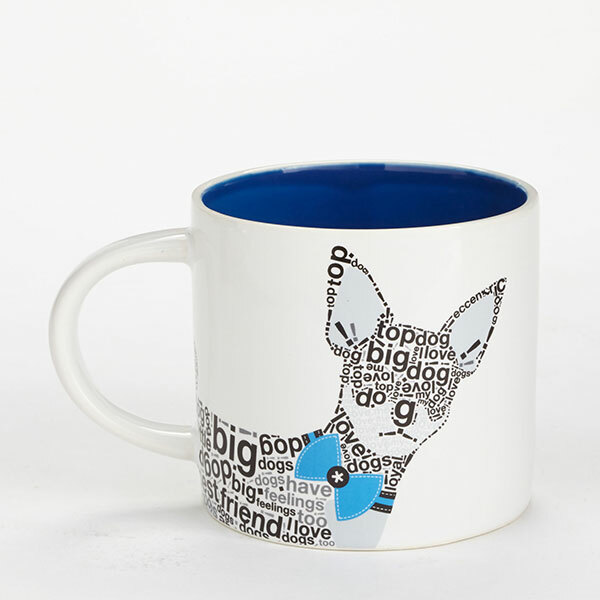 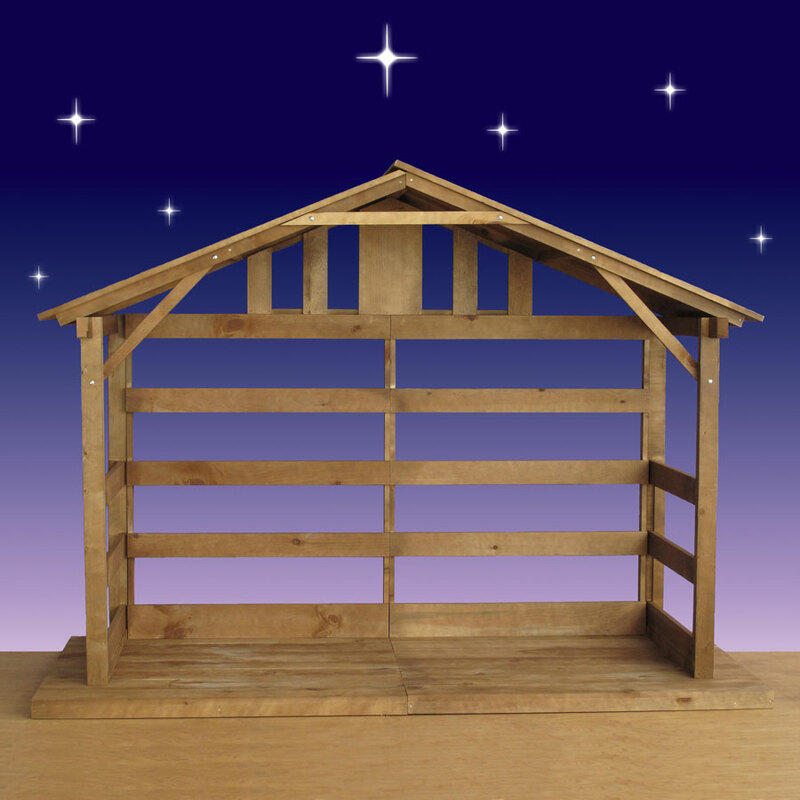 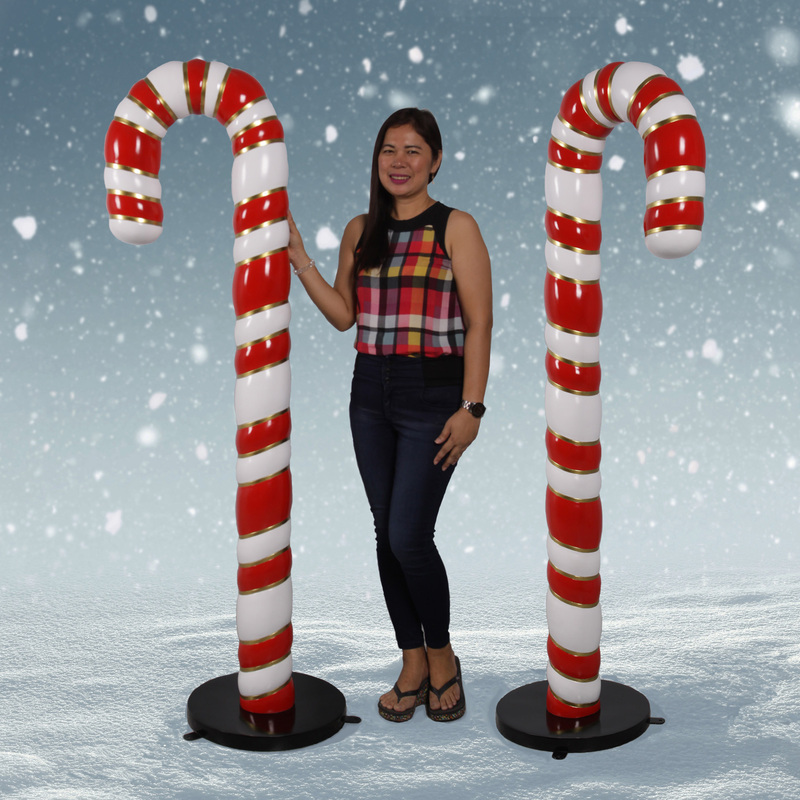 Set of 10-ft. 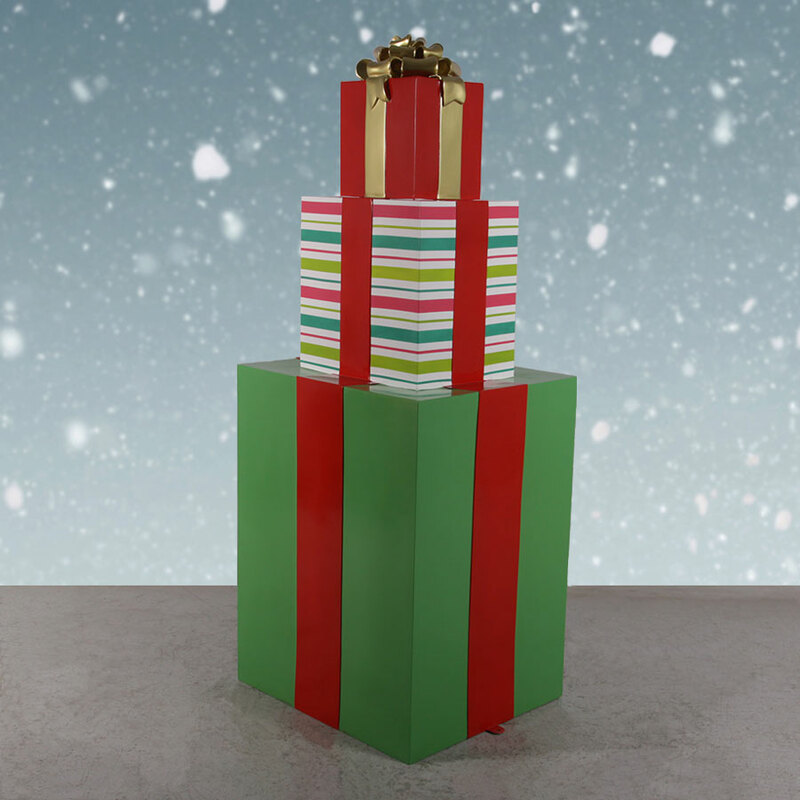 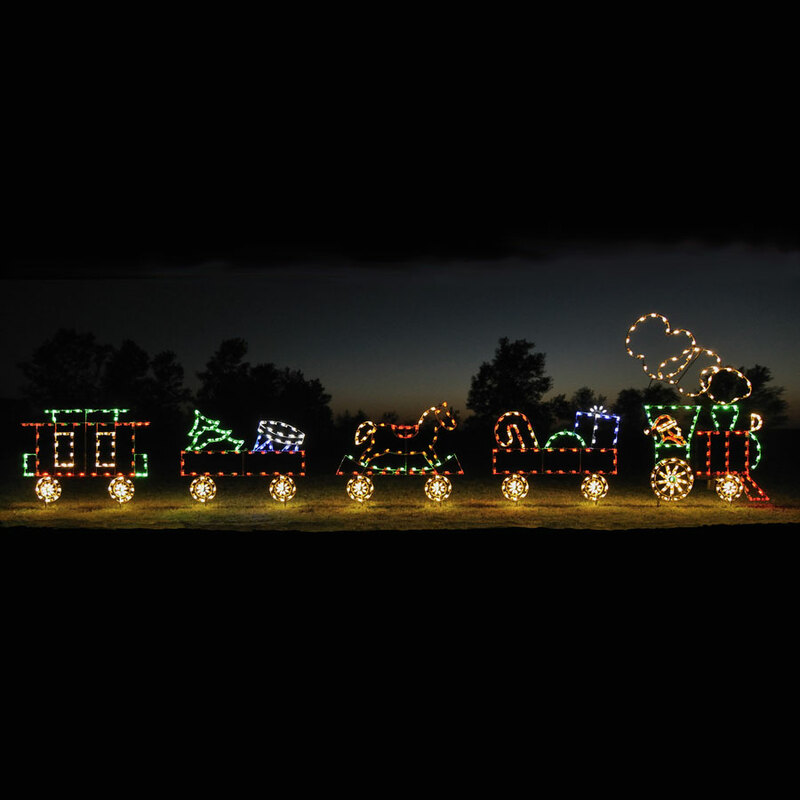 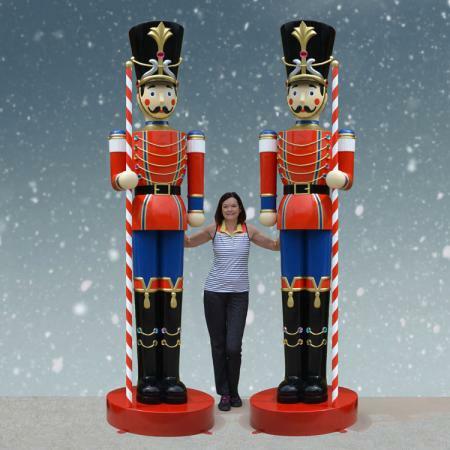 Giant Toy Soldiers - Christmas Night Inc.
What's better than one giant toy soldier? 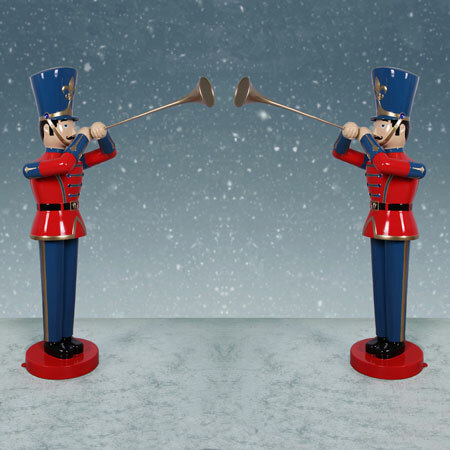 How about two? 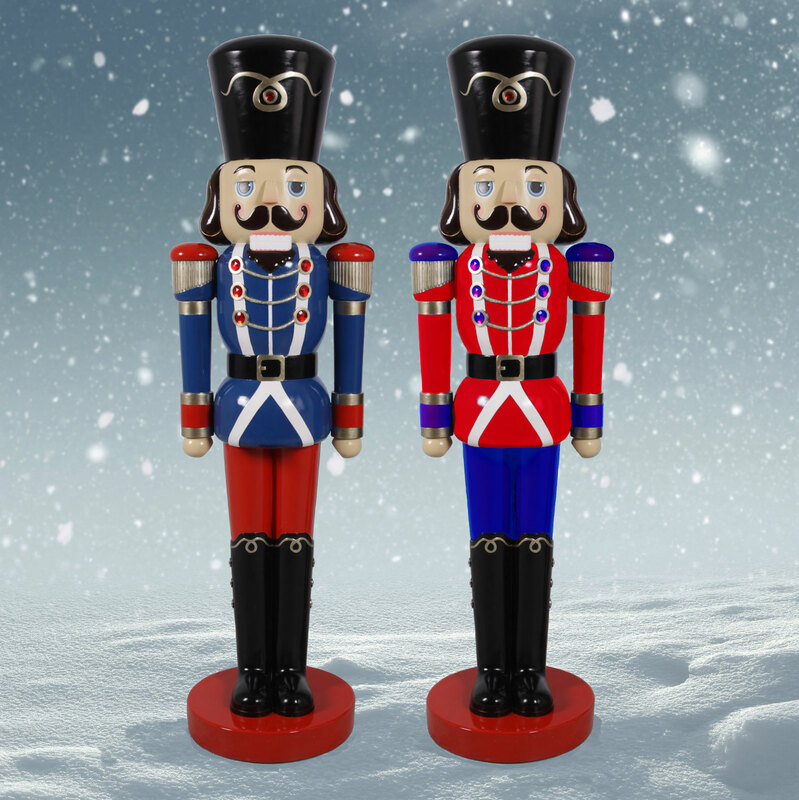 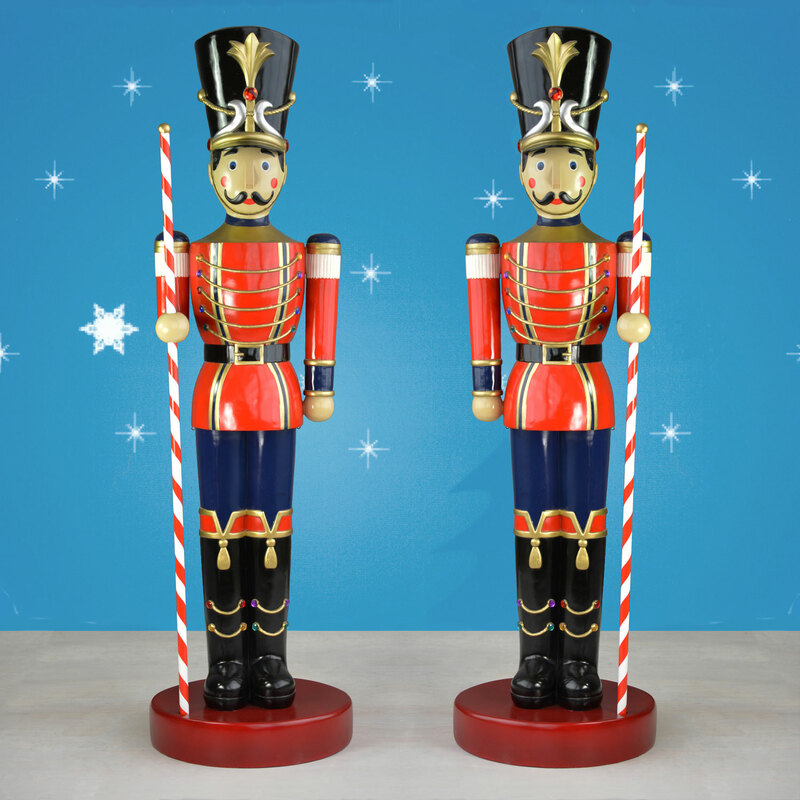 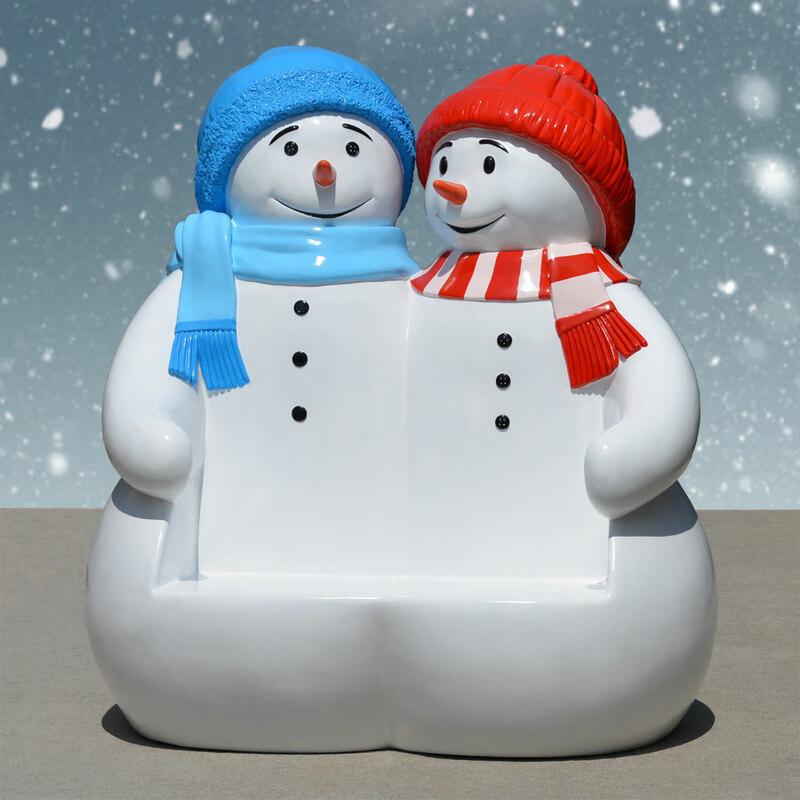 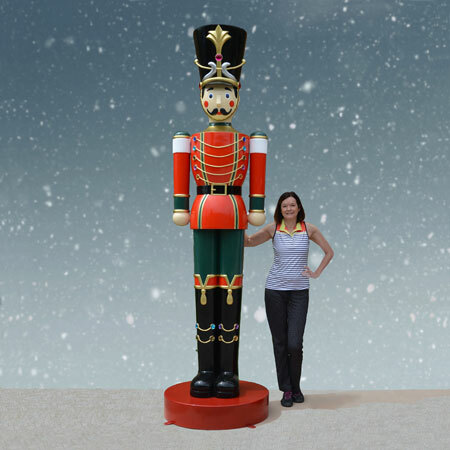 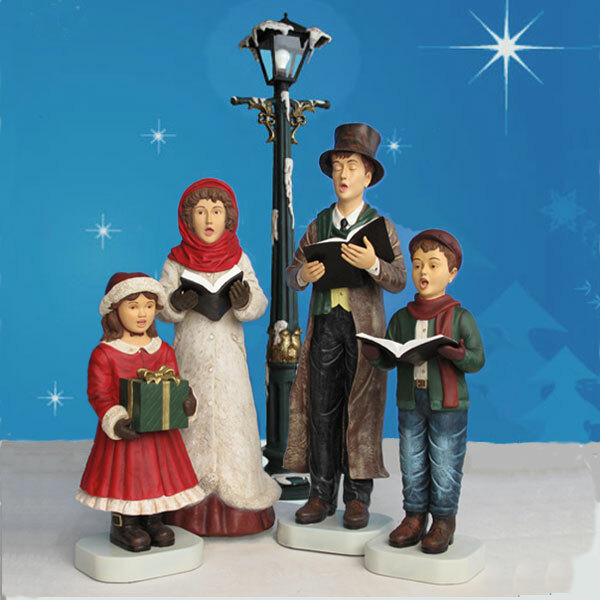 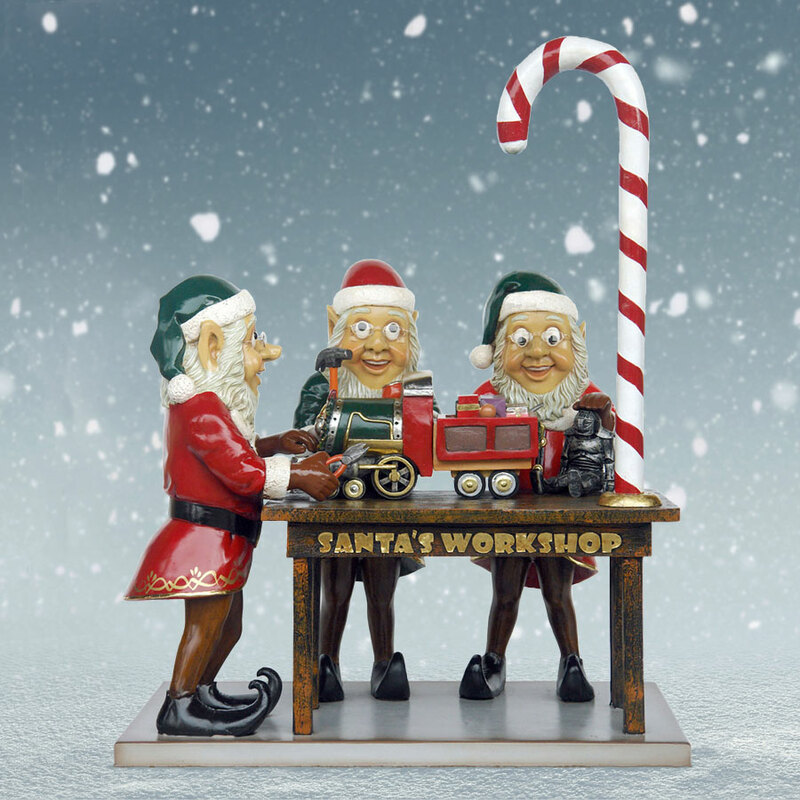 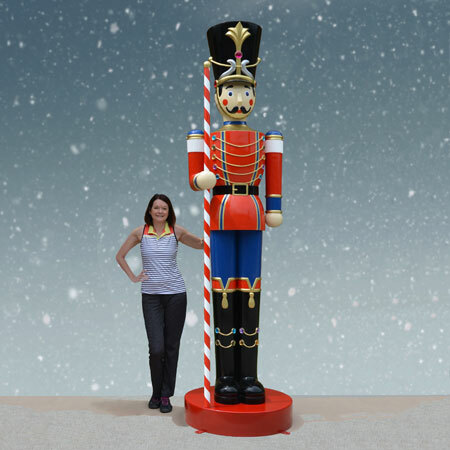 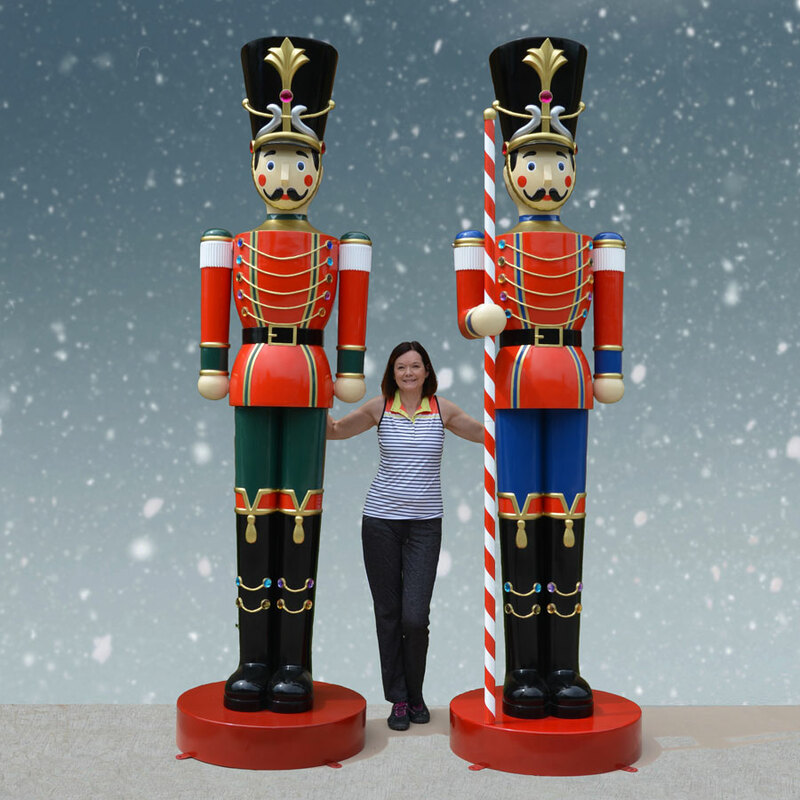 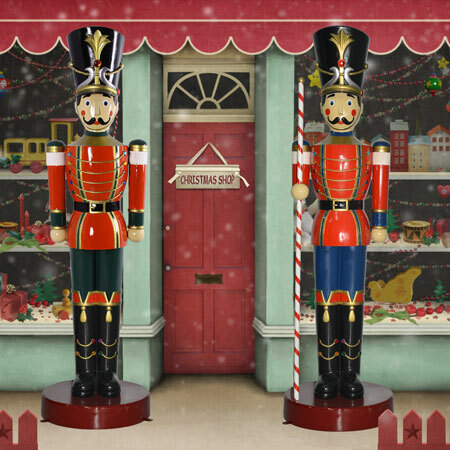 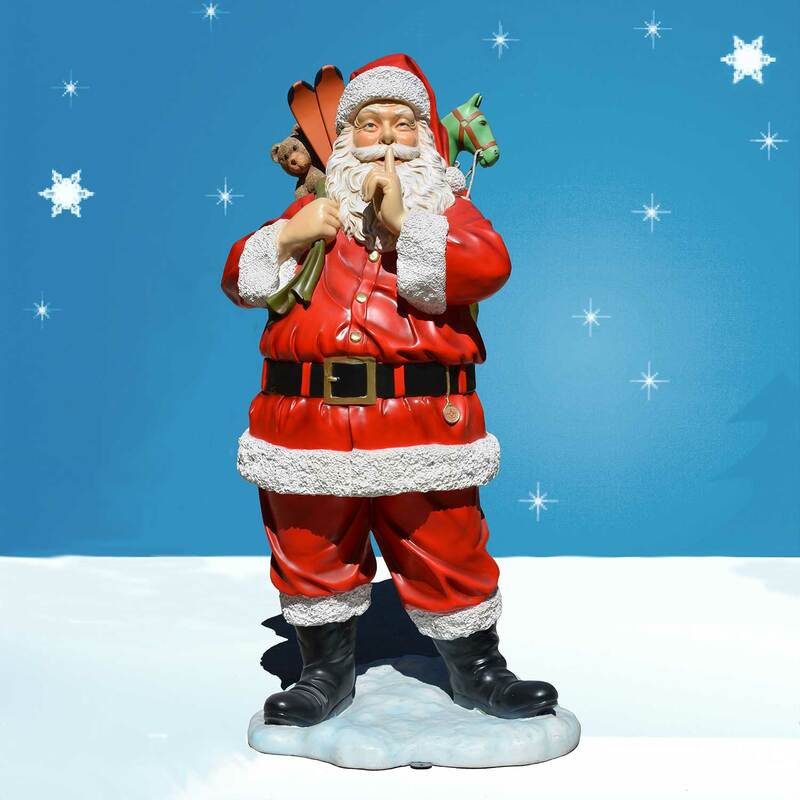 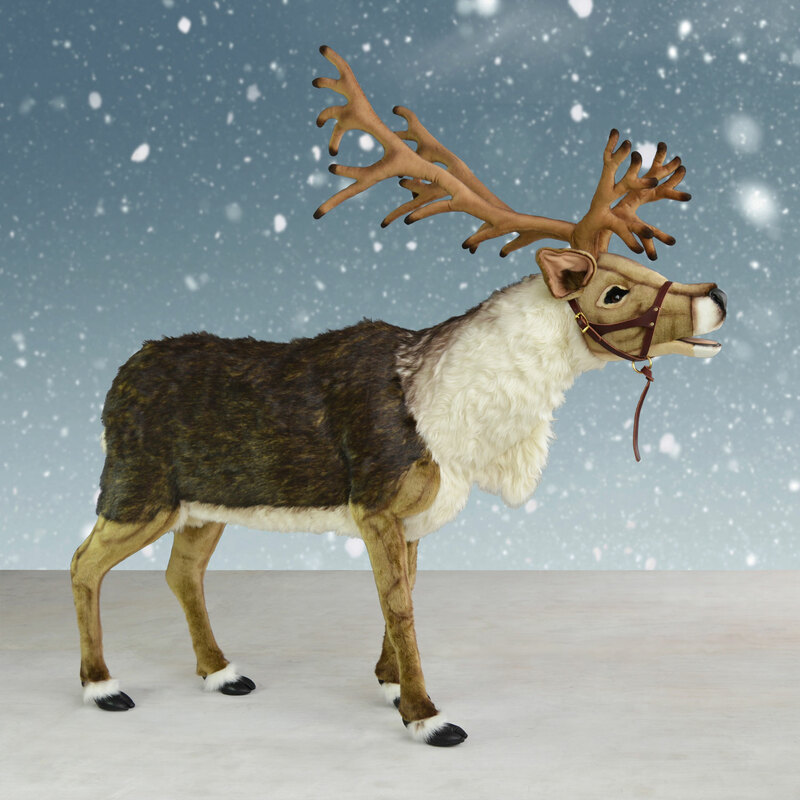 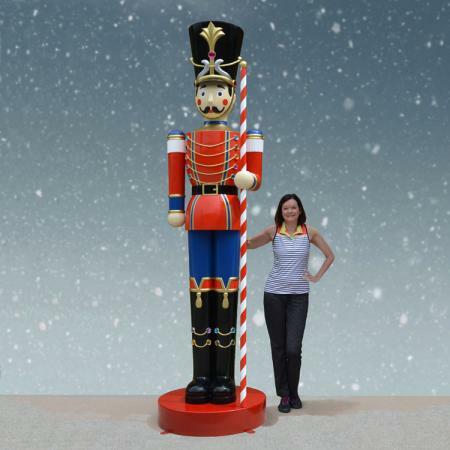 This 10-foot outdoor Christmas toy soldier pair is perfect for grabbing attention at theaters, parks, malls and town squares. 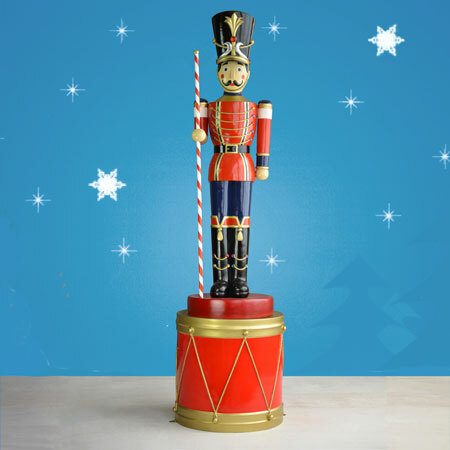 It features one soldier standing guard and another carrying a candy cane baton as he prepares to march. 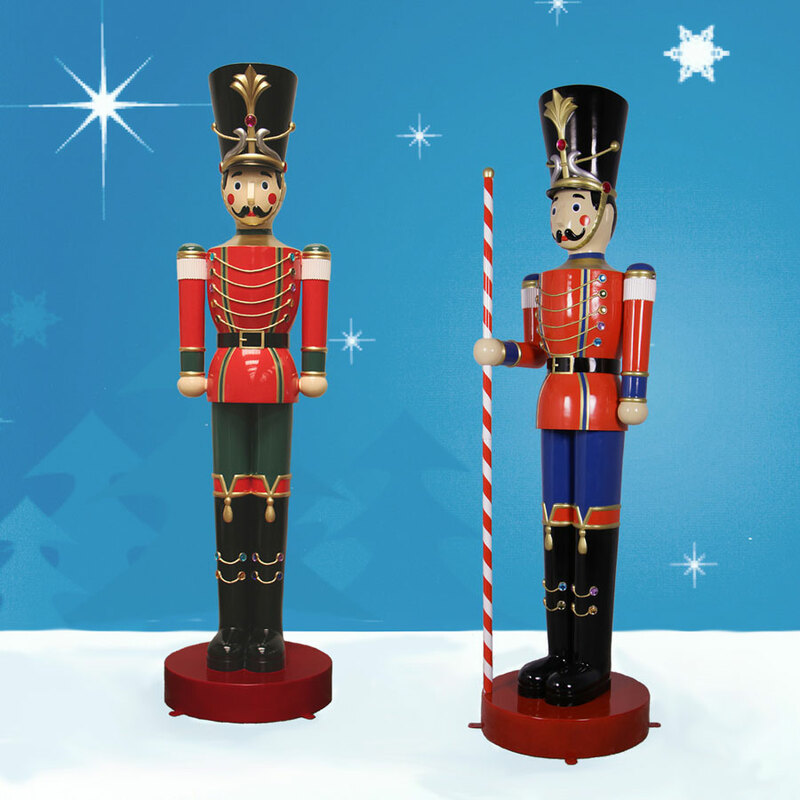 Both toy soldier statues are made of lightweight fiberglass that is chip-resistant and fade-resistant for lasting beauty. 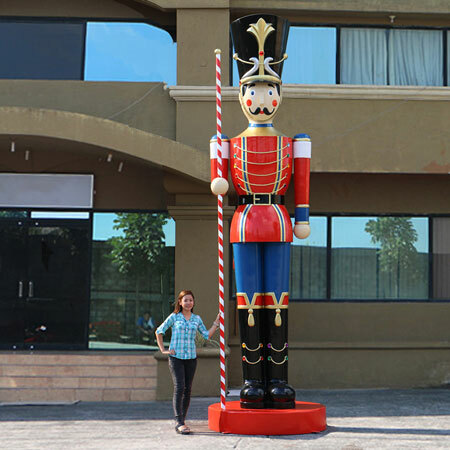 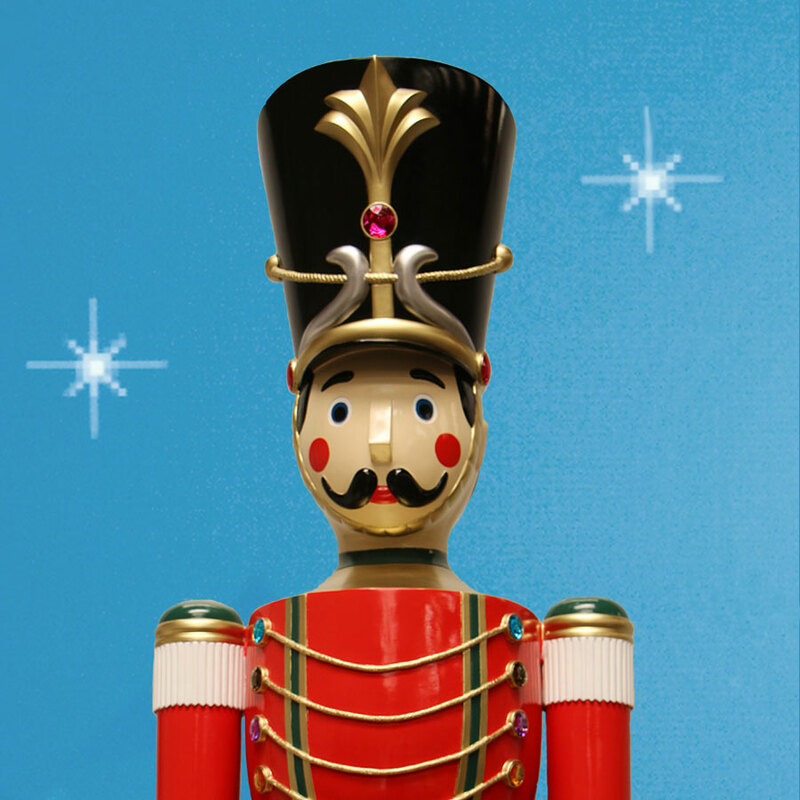 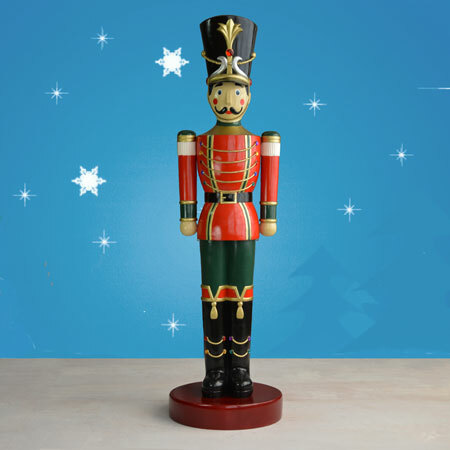 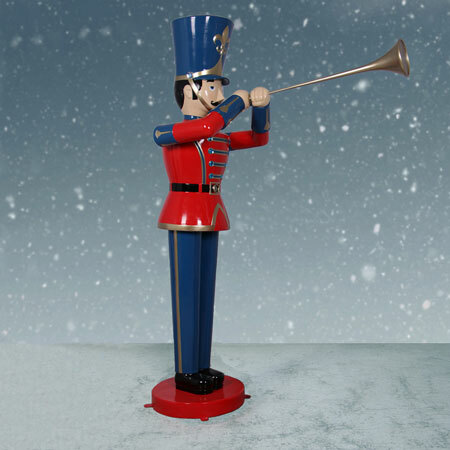 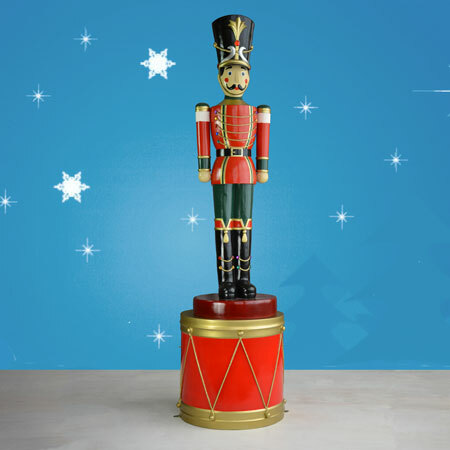 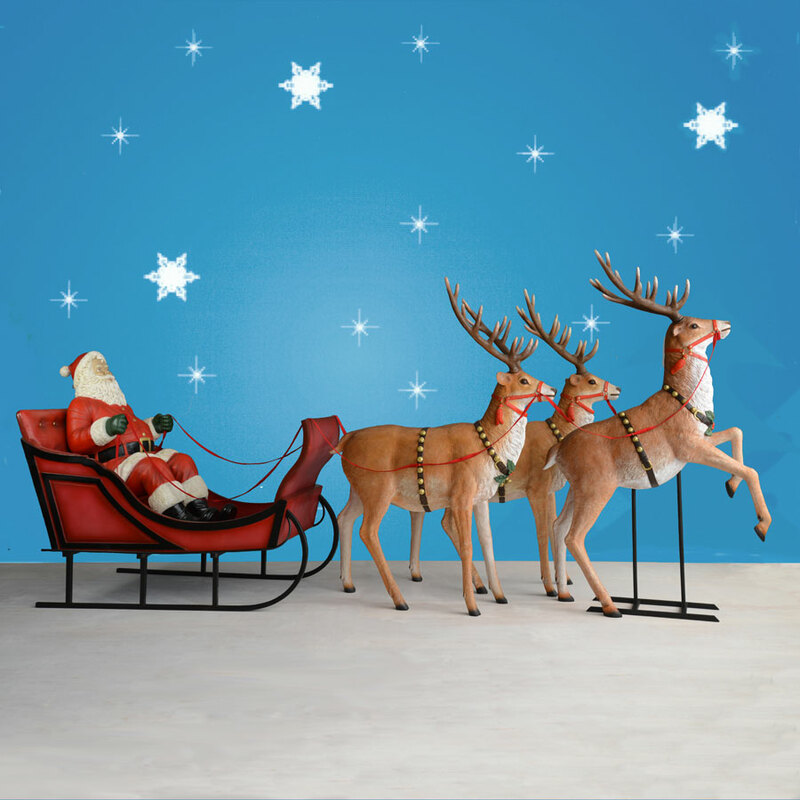 With their large size and bright colors, our giant toy soldier set will make a lasting impression for all your guests.